This is a NEW REPRODUCTION of a rare JANIS JOPLIN handbill that announced a historic concert at the Santa Clara Fairgrounds in San Jose, Ca. on July 12th, 1970. This mini poster measures 8″ x 10″ and is printed on heavy duty matte stock. I have sold the last few remaining copies of the original flyers I had from this legendary show and realized there may be folks that would like an inexpensive memento of the event. This is scanned from an original flyer and digitally enhanced, making it unique from the flyer and poster. This design will look awesome in a frame! SOUTHWIND opened for her and the “3rd group to be announced” turned out to be FRITZ, formed by none other than STEVIE NICKS and LINDSEY BUCKINGHAM. It is believed that this was the ONLY occasion that Janis and Stevie encountered each other. Janis’s final performance was just one month later on August 12, 1970 in Boston. She passed away on October 10, 1970. Poster design is by Stan Kromydas. Promoters created handbill versions of many of their posters and used them as handouts and fliers to promote upcoming shows. These handbills represent an important element of music history because they are unique marketing tools that are still used today. SKU: popr14. Categories: MUSIC, PAPER PRODUCTS, Handbills. Tags: collectibles, Big Brother & the Holding Company, handbills, Janis Joplin, music, Pop Culture, rock & roll, Santa Clara County Fairgrounds. 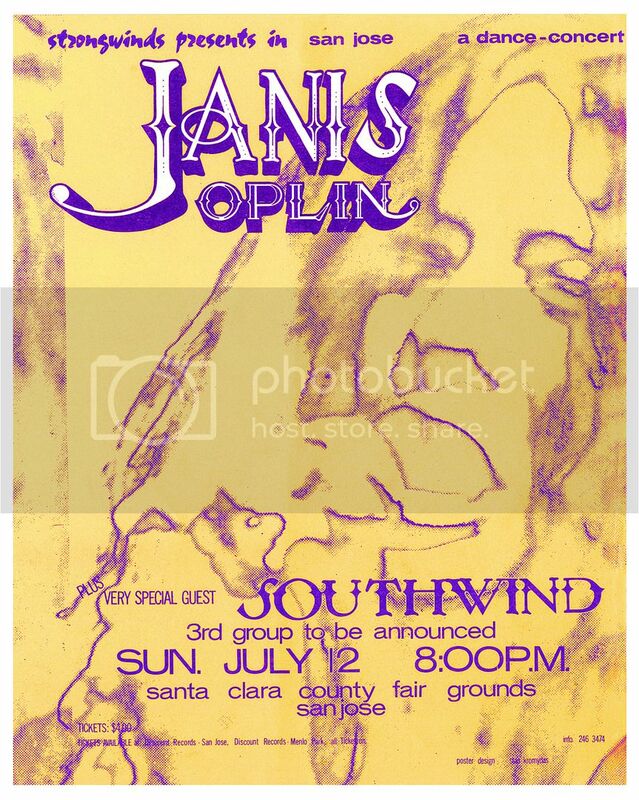 Be the first to review “New JANIS JOPLIN Santa Clara County Fairgrounds MINI POSTER (2014)” Click here to cancel reply.